It has been a while since we shared any of our projects. Thought I would share today some work we recently completed for our client Glam-Pham. Client Glam-Pham was in the process of building a new home in Houston, Texas and reached out to us. 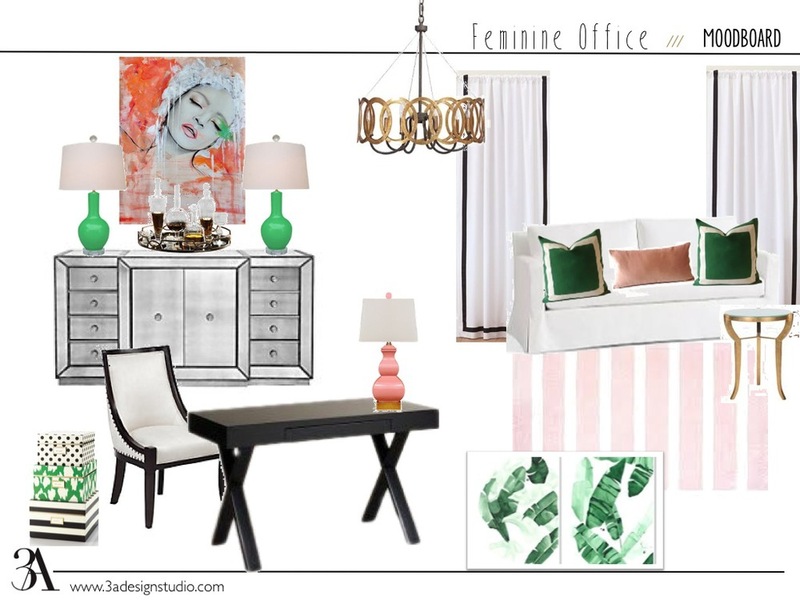 She needed help with putting together a design for her master bedroom and office, as well as paint color suggestions for the entire house. She wanted a soft glam aesthetic for both rooms. Our color palette consisted of soft blues, grays, and ivories. We mixed in a few metallics, along with luxurious textiles and a couple chandies of course! Here is what we came up with. We can't wait to see progress pics and promise to share. In the mean time, we are really excited to be working on a design for her living room. It is going to be fabulous! A navy sofa may make its way into the room. Here is the color pallete we will be working with. If you are building a home, let us help you. We can help pick out finishes, as well as put together a design that you can implement once you move in. Drop us a line here to start the conversation.